With more than 250 life science companies and a robust workforce development infrastructure, RTP and Durham are the HEART of the biotechnology and pharmaceutical industry. 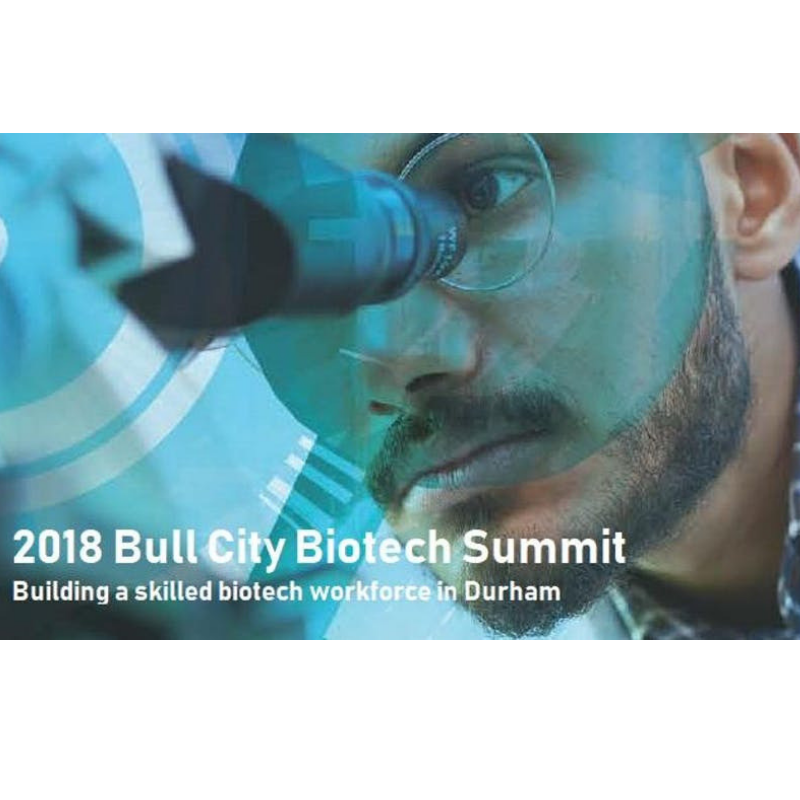 Join us for the 2nd annual Bull City Biotech Summit to connect with local industry, academic, and community leaders, and explore opportunities for partnership and collaboration to attract, develop, and retain skilled biotech talent in Durham. Together, we can build a sustainable workforce pipeline of qualified employees to support the current needs of your company and the continued growth of biotech in the Bull City.